Build7 are Christchurch builders. We are a different kind of building firm. Firstly, we focus on the design process to give you what you want and what’s best for you because we don’t have standard plans. Secondly, you’ll find the entire process is open, transparent and even fun! And finally, because we have some clever systems and rock-solid relationships with the perfect experts in lots of areas, you’ll pay a competitive price that will work for you. Firstly, from the very first meeting, we listen carefully to your ideas about the style of home you expect to achieve, your "must haves", your expectations of what you want your home to become.It's a dedicated service we take great pride in and one we will take you through with flourish. Your design brief is like no-one else's and it is our greatest pleasure to bring that to life through our complimentary design service. Photo-quality renders, professional presentation and a complete design pack are all what you can look forward to. 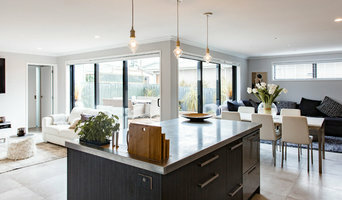 You will work directly with Jamie Cowan, who is the owner of Build 7 Christchurch and an experienced builder himself. You are in expert hands right from the start. Secondly, enjoy the complete transparency Jamie and his team offers. Communication flows freely and we always work with the best interests of our clients. That is our ultimate priority. 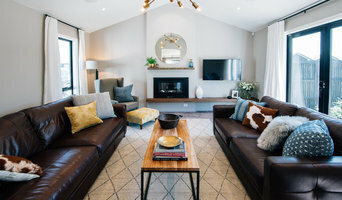 Here at Build7 Christchurch we hand-pick our trades to ensure there is always complete integrity and dedication to detail in all areas of the build. You can read some of our client and supplier testimonials here on Houzz that have enjoyed this transparent and trust-worthy service we provide for all our clients. And finally, enjoy the great pricing we can offer all our clients from some of our rock-solid relationships we have with some of the leading experts and suppliers in the building industry. You'll find our pricing very competitively priced. 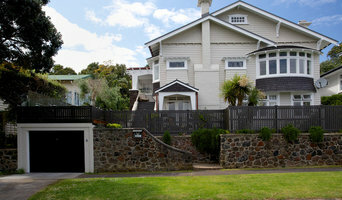 Fraemohs Homes was established in Christchurch in 1968 by Danish immigrant, Monni Fraemohs. Monni Fraemohs was inspired by New Zealand's natural environment and plentiful supply of exotic timber for construction. He quickly realised the potential to design and build stylish natural timber homes for New Zealanders from our own home grown and renewable resource. Timber is a wonderful building material. It has great strength, durability and dimensional stability. Modern studies suggest that a solid timber house is healthier to live in than other building materials, and that timber naturally helps to control humidity and temperature. The warmth, strength and natural beauty of Fraemohs Homes makes our homes as popular today as they were when Monni founded the company over four decades ago. Today we operate from the same Christchurch site as when we were founded, and remain locally owned and operated. Fraemohs Homes is a Registered Master Builder and offers a Master Builder Guarantee with every home we build. Fraemohs Homes also supply quality kitset homes in New Zealand and worldwide. From new builds through to minor alterations and major renovations, let us take care of your Dunedin home improvements. Your Tradies offers a convenient one-stop-shop for home improvements and new builds Dunedin-wide. Our team are responsive, and do everything possible to meet your requirements, budget and deadline. As we specialise in residential work, Your Tradies can help with: — bathroom renovations — kitchen renovations — interior and exterior extensions and alterations — major and minor home renovations Our team can also provide house plans and full residential building project management for your new build. Arise Builders Ltd is a Residential Building Company based in the beautiful Bream Bay district but serving the whole of the Whangarei district with all aspects of building. We offer a great range of concept plans to help you with the planning process or bring your own plans to us and we'll partner with you to see your dream home come to life. Arise Builders Ltd seek to 'Raise the standard of building for future generations.' We love the idea of dreaming with you and partnering together with you to see your dreams become a reality, so quality and attention to detail are important to us. We are a building company working throughout Christchurch and the North Canterbury region dedicated to providing quality new builds. We are a happy friendly tight-knit team of builders who pride ourselves on producing quality work. As the owner i will liaise personally with all my clients and conduct quality control on all work carried out. My reputation and therefore your happiness is very important to me. The quality of our work and genuine service speaks for itself. Our mission is to provide top quality homes. To turn up when we say we will and to offer service like no other business. 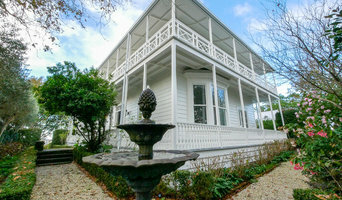 Smith Construction has been operating since 2004 and is based in Mangawhai. We have grown to be a leading independent builder operated by Nick Smith, the business offers a full "plan to completion service," covering everything from initial planning, design and implementation to project management. We orientate our business around quality and providing the highest level of craft and workmanship is our number one priority. This is supported by our experienced team and membership to the Certified Builders of New Zealand. ZBUILT providing building and project management services for architecturally designed homes and commercial spaces. We also build SuperHomes - a new standard of energy efficient houses. Whether you’re undergoing home renovations or building from scratch, hiring the right home builder is essential. Your choice will determine the quality of craftsmanship, as well as how high your stress levels rise! A home design or building project is a huge and multifaceted undertaking, so it’s important to find a local builder you can trust to bring your vision to life and keep the process under control. The Houzz professional directory of home builders is a great starting point to choose the right builder for your needs. What exactly do home builders do? Before any nails are hammered down, construction companies perform market research to determine whether the prospective site for a new home makes sense. They also survey the land to make sure it is suitable for construction, and obtain any necessary permits. Scroll through this page to find contractors. Then, click on a professional to browse photos of their latest projects and see how their work compares to the scope of your project. Read reviews to see how other homeowners rate their work, and message the home builder or construction company directly to ask any specific questions.